This is California living at its best. 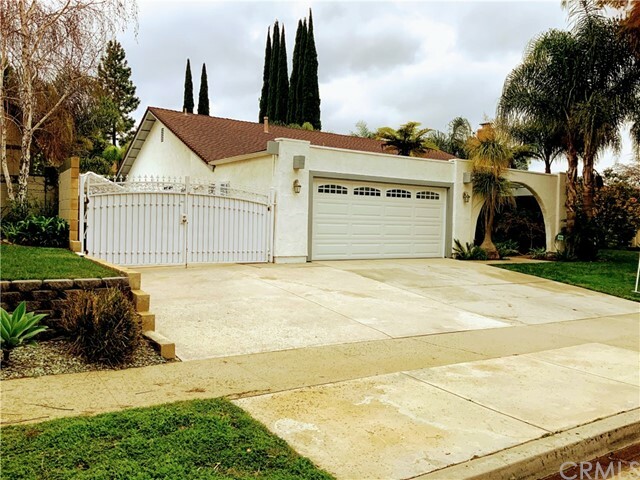 Property is located in a desirable West Simi Valley Neighborhood. Home has been updated and has a resort like back yard with pool that is an entertainer’s dream. The kitchen is perfect for any chef. Kitchen features newer cabinets with built in pantry and pull out shelves. Lots of counter space, stainless steel Kitchen Aid appliances including gas stove. Kitchen has big corner windows looking out onto the resort like backyard. Beautifully finished covered patio which has room for dining and sitting and wall mounted TV to enjoy outdoor living at its best. Heated pebble-tec pool features a spa that spills over into pool. Waterfall cascades from hill into the pool creating a serene retreat. Built in gas BBQ with tile counter, fridge, sink and outdoor seating at the bar. Master bath has dual sinks and granite counter tops. Big glass walk in shower has multiple jets to relax you after a hard day. Separate laundry room with lots of storage. Finished garage with a separate A/C, work bench and storage cabinets. The attic is huge with lots of shelves for extra storage. This home also has RV parking with canopy and storage shed. Act now, this home won’t last long!